Modals for ability, logical conclusion, necessity, obligation, permission, possibility, prohibition and requests. 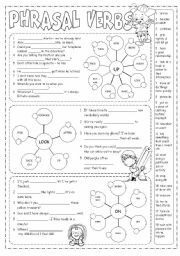 Complete with the suitable modal verbs; choose the correct meaning; rephrase the sentences using suitable modal verbs. Key included. 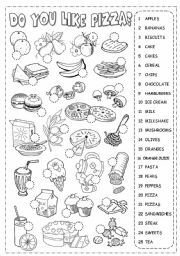 A worksheet to revise countable non countable nouns. 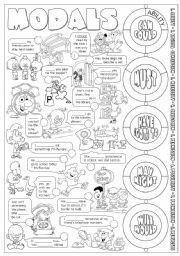 A crossword to practise regular and irregular plurals and to revise some basic vocabulary. Answers are included. 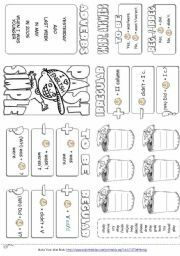 Some exercises with most frequent phrasal verbs with ON, UP, OFF ... - going with the Mini Book on: http://www.eslprintables.com/printable.asp?id=362340#thetop. 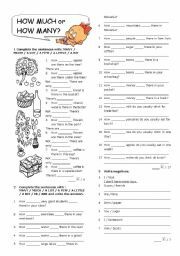 A worksheets to revise basic rules to form the present simple tense. Exercises: 1. Correct the mistakes; 2. Form the third person singular; 3. Make sentences (affirmative, negative, questions); 4. Complete a dialogue; 5. Daily routines; 6. Position of the adverbs of frequency. 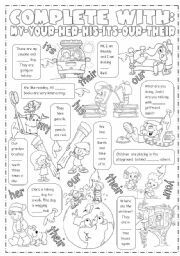 A mini book that introduces the grammar rules to form affirmative, negative and question sentences in the past simple tense with regular and irregular verbs. 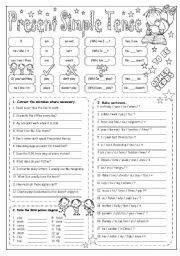 With Jecika´s permission I have used the explanation from her worksheet (http://www.eslprintables.com/printable.asp?id=76182#thetop) that I find really good. 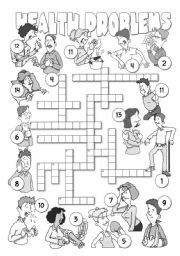 A crossword to revise illnesses and health vocabulary. Key included.